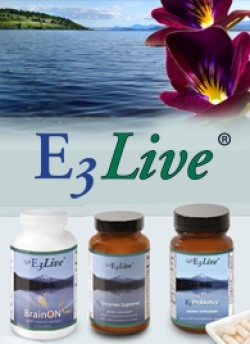 We, the harvesters of E3Live® Aphanizomenon flos-aquae from Klamath Lake, see ourselves as stewards of the earth, humble caretakers of the precious gifts of God and Mother Nature. We believe a major reason why people don't feel as happy as they can has LESS to do with what may or may not be happening "on the outside," and MORE to do with what is happening "on the inside" — at the cellular level. We believe the quality of the food we eat profoundly affects the flux of our moods and emotions, our ability to concentrate, our physical appearance, our endurance and strength, even our spiritual receptivity. Our mission is to educate and share with as many people as possible the benefits of E3Live® AFA nutritional algae, which we believe nourishes and detoxifies the body more than any other food.